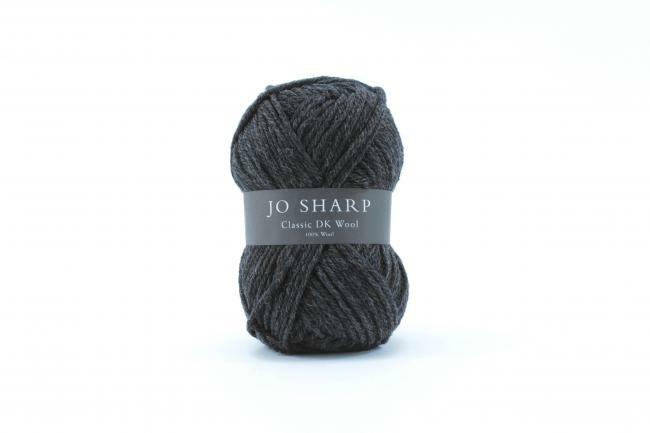 Multi-shaft looms and spinning wheels – Get started with Free Shipping! For anyone who weaves or spins, it is a wonderful part of your life. We’re happy to help you select the right loom or wheel to make it all possible. Now, create your ideal weaving or spinning studio, with FREE SHIPPING on floor looms, multi-shaft table looms and spinning wheels! Find out why Halcyon Yarn has been “the weaver’s friend,” since 1971! Whether you’re weaving or spinning in a large studio or a small spare room, our friendly and knowledgeable staff can help you decide what equipment is right for you. We make ordering easy – and now it’s especially easy with free shipping on floor looms, multi-shaft table looms, and spinning wheels. Halcyon Yarn offers the full selection of Schacht floor looms, Leclerc floor looms, Louet floor looms, Harrisville floor looms, and Glimakra floor looms for weavers.. and Ashford, Louet, Schacht, Kromski and Majacraft spinning wheels for most any spinners needs! This free shipping offer is for standard ground shipping within the continental United States. Free shipping applies only to qualifying multi-shaft table looms (excludes rigid heddle looms), floor looms and spinning wheels, and may not be applied to past purchases or combined with other offers. Ordering other items may result in shipping charges for those items. Earn cash back for your Guild with every purchase you make! 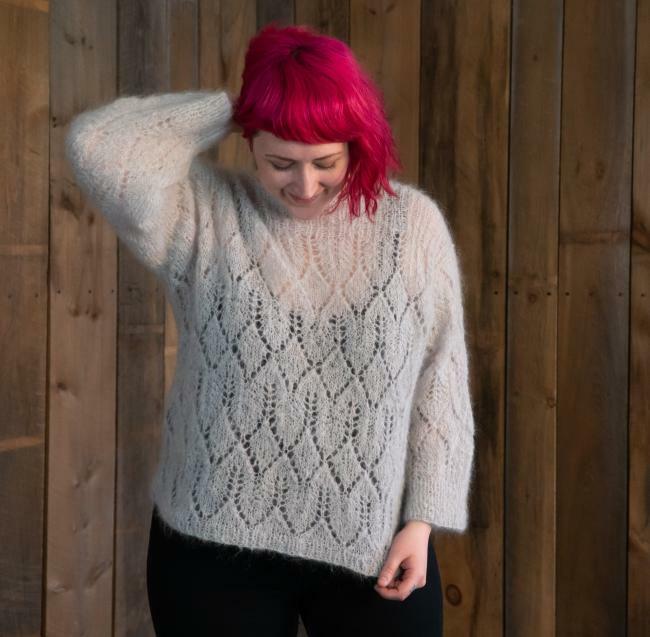 Halcyon Yarn now offers 5% cash back on member purchases for participating guilds. 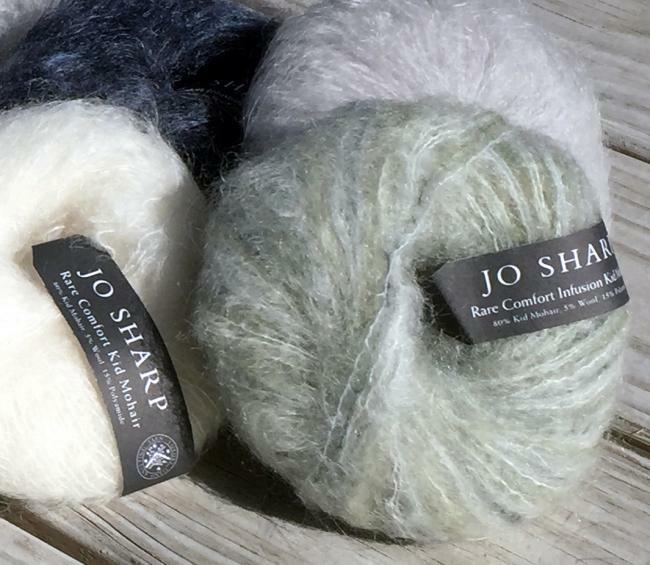 Applying is easy and it is a great way to earn money for your guild every time you buy the great yarns, equipment and other supplies you already enjoy shopping for here at Halcyon Yarn. 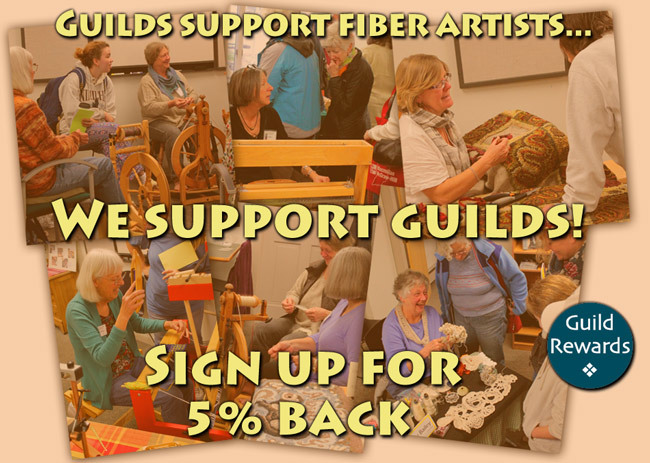 We’re proud to help support the many wonderful Guilds that provide support, education, community involvement and wonderful events for fiber artists all over the country. Click here to learn more and to download an application for your Guild. We look forward to helping you support your Guild! If you’re not already a member of a guild more information and a directory of many local groups can be found at the Handweavers Guild of America or the Knitting Guild Association. You are currently browsing the archives for the On Sale category.